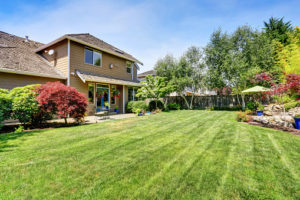 If you don’t want to waste time searching for dependable Franconia lawn service, try ending your search here with the professional team at Complete Lawn Service. We are a northern Virginia based and family owned company that has been creating and maintaining beautiful landscapes for Franconia and northern Virginia residents now for over 40 years, and we know how to bring the personal touch that your individual property needs. Lawn Care. In addition to our mowing and edging with sharpened blades and weed whipping of inaccessible spots, we offer a wide range of lawn care programs that maintain proper fertilization along with weed and insect control. We also offer shrub and plant care that includes year-round maintenance and trimming to keep your shrubbery visually appealing. Landscapes and Hardscapes. We can design and build a landscape of healthy greenery and shrubs with a lush lawn that fits your outdoor lifestyle. Our hardscapes include walkways and driveways with retaining walls that combine form with function. If you’re having problems with flooding or compacted soil, we can design a drainage system that keeps your lawn healthy. Irrigation Systems. Plants and lawns require proper watering throughout the season. Let our Certified Irrigation Designer view your property and build a sprinkler system with state-of-the-art components that addresses the watering needs of each zone in your property. Once the system is installed, we inspect the connections and ensure that the water supply is turned off and on through seasonal changes, and we’ll perform any needed repairs. Comprehensive and dependable Franconia lawn service isn’t all that Complete Lawn provides. We also use a pet- and kid-friendly natural oil spray to rid your space of annoying and lawn damaging mosquitoes, and we’re there in the winter, too…our team is ready with snow removal and ice melting equipment to help you safely return outside. If you want to meet with a representative or get a price, use the Contact Us form on this website. The team at Complete Lawn looks forward to reforming your outdoor space into something special.